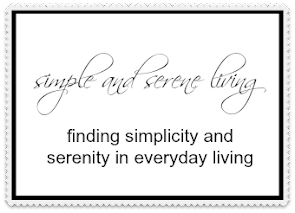 F Simple and Serene Living: seriously? So, I trundle down the stairs early this morning expecting my mom to say happy first day of spring. Instead, I am greeted with. "You go to yard sales, auctions, and thrift stores, how come you can't do this?" Well, apparently what I missed was this. A man bought this bowl for $3 at a tag sale in New York and set it on his coffee table for a few years. 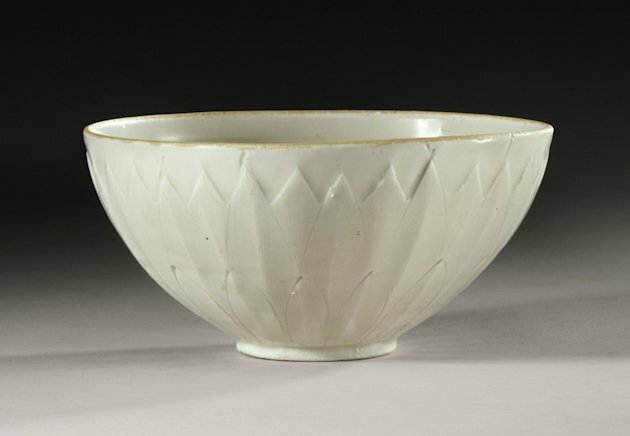 Turns out is was a 1000 year old bowl from the Northern Song Dynasty and it sold at auction for more than $2.22 million. In my defense, I make it a point not to buy anything that is Made in China. Seriously, what kind of defense is that? Happy first day of spring. In Mom's defense, I ask myself that all the time. :D Thanks for the smile and Happy First Day of Spring to you, too. Hahaha Never would happen to me either. A few years ago a lady bought an old pillow at the local thrift store. She removed the stuffing to wash the cover and inside the stuffing were several hundred dollar bills. Sheesh! I don't buy anything made in China either. Crazy!! Happy first day of spring! I saw this too. Pretty unbelievable! Crazy! Amazing story. Even the Pickers can't top that!! I remember when anything labeled Made in Japan was considered cheap goods -- now Japanese fabrics and electronics are all the rage and command high prices. Who knew? Maybe I should begin to buy "Made in China", you never know! HA! That's just my luck, too. I like the details on the bowl and would never have guessed it was that old. I saw this story earlier today and thought I had better be more careful in checking items at sales. Laura, what is so funny is my Mom said the same thing to me! Oh my! I wish I had that kind of luck! LOL, that is hilarious! And I think your excuse is more than reasonable :O) Happy Spring and good luck at those yard sales. We all groaned and moaned over this today! I love your 'Made in China' comment though! How perfect! I read your entire post to my hubby...it was perfectly written! Happy Spring! With my luck, I'd be the person who let it go for 3 dollars! Think the guy who got the 2 mil went back and gave the tag sale people any of it?? That is a gorgeous bowl, but I sure wouldn't pay 2 million for it! I've never had that kind of luck, but I know it's coming. :) Positive thinking!! You are too funny Laura!